Readers who watch Black Memorabilia, a 60-minute documentary airing this month on PBS’s Independent Lens, will no doubt thrill to the scenes shot at the Brimfield [Mass.,] Antiques Market, but the subject of this film written, directed and produced by Chico Colvard delves into the dark corners of a controversial collecting category – racialized objects, figurines and advertising, everything from “Jolly N” banks to Mammy kitchenware, confederate flags, Nazi insignia, MAGA hats and other ephemera. 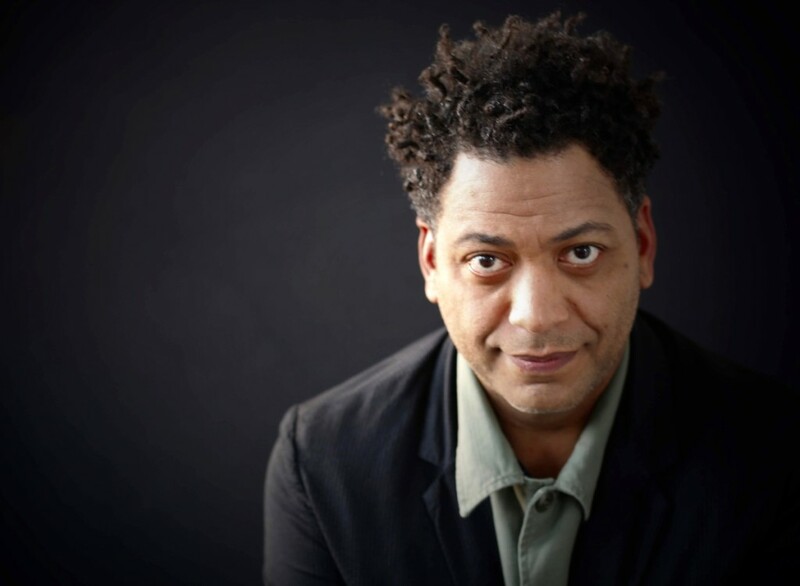 Colvard, who teaches race, law and media-related courses in Boston, takes viewers on a journey from industrial China to the rural American South to contemporary Brooklyn to trace the propagation of these negative totems of American material culture. 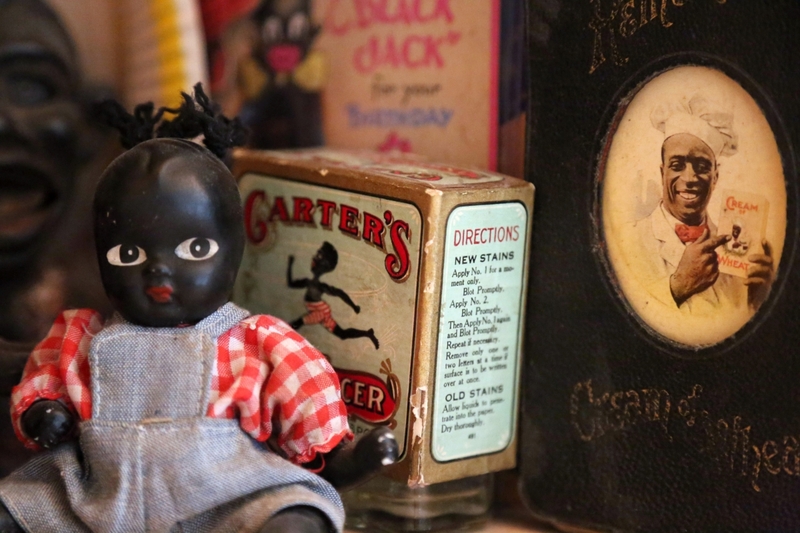 Black history, folk art or racism? Racist material culture is American history. It represents white America’s invention of exaggerated caricatures – a target group designed to justify a mountain of immoral acts. These harmful and derogatory artifacts reflect the white psyche and transparent agenda to benefit from disadvantaging others. These relics are markers of white hatred, fear and greed: Uncle Ben’s, Aunt Jemima, moving images, literature, the fashion industry, advertisement, public policy, street signs, colleges and universities named after confederate soldiers, monuments that stand as reminders of terror and notions of white supremacy, currency awashed with the profiles of slave-holders and segregationists, walls and mountain-tops constructed as tributes to white bigots – America’s legacy of racist material is woven into the very fabric of who we are as a nation. Like many of us, I grew up unconsciously consuming a steady diet of racist memorabilia. This film stems from a heightened awareness of the often unquestioned presence of racist memorabilia and is the result of my desire and curiosity to explore ways to move beyond perverse attractions and absolute objections to the harmful and derogatory material. I set out to make a film that subverts expectations both socially and cinematically. To that end, Black Memorabilia should be viewed as a transgressive film; meaning certain moral, social and artistic boundaries are reimagined in an effort to spark conversation and action that distances itself from a mere indictment piece about racist material – but also questions the kinds of stories black/brown artists are expected and narrowly allowed to tell. A collection of black memorabilia. Courtesy of C-Line Films. In the segment dealing with Chinese manufacturers producing the “Jolly N” banks, were you able to quantify the size of the market? Is it primarily a US market? Without empirical data, it’s difficult to assess just how much of this stuff flows through the stream of commerce. Compared to other like and similar products (cast iron piggy bank vs “Jolly N” banks), my first-hand account, as well as reports from reliable sources like the Ferris University Jim Crow Museum, other collectors and scholars, shows that this material is in high demand and commands a much higher bid than its benign counterparts. It also appears that racist Americana is mostly found in the United States, but far from exclusive to this market. Racist Americana and foreign interpretations of the same permeate all corners of the world. And while I couldn’t make a survey doc covering the many types of racist memorabilia found around the globe, I do reference that fact in the montage just before the end credits. It’s reported that Oprah Winfrey is among the celebrity collectors of black memorabilia. Did you consider including a segment in which a collector would speak to the desirability of owning such material? I didn’t speak with Oprah or other high-profile collectors like Spike Lee about their motives to own this material – so I can’t speak for them. I suspect, however, that their reasons stem from a historical interest in preserving these objects like sentinels, who guard the past and serve as reminders to “never forget” how this material is used to “classify,” “symbolize,” “discriminate,” “dehumanize” and develop the stages that lead to systemic racism, oppression and genocide. One of the most affecting segments of your film is the profile of the female artist Alexandria, who appropriates the persona of “Marjorie,” a young girl in blackface, who wears a pillowcase over her head. How did you find her story? I came across Alexandria and her work through social media. At the time, I already filmed the China piece and Joy, but didn’t have the third leg of the story. I was in talks with the great artist and scholar, Michael Ray Charles, but we kept running into scheduling conflicts. Then a friend invited me to an exhibition featuring Alex’s work. Immediately I fell in love with the idea of having all women carry the film – much like my personal doc, before. My affinity for casting and working almost exclusively with women in films stems from my deep reverence for the women who raised me and many remarkable mentors I’ve admired along the way. Call me a “feminist,” I suppose? I also saw the power of reclamation in Alex’s work and thought it would serve the third act of the triptych well. What I had not anticipated is that she would assume the identity of Marjorie; as a piece of performance art and effort to combat the very harms these images of blackface perpetuate. That only came to me as illustrated in the doc when she showed me her “secret body of work.” As soon as she showed me the photos of her dressed-up as Marjorie, I made her promise that she would contact me before she ever transitioned into Marjorie again. Luckily, she agreed. Editor’s Note: Black Memorabilia will be streaming at www.pbs.org, February 5-18.